Premium fish sauce for seasoning. Made with fresh anchovies and fermented for 18 months. Authentic Thai Seasoning Sauce. Fresh anchovies caught and landed in the Gulf of Thailand are fermented for 18 months to create our Nam Plaa. No Thai dish is complete without the added complexity and depth that Nam Plaa provides. 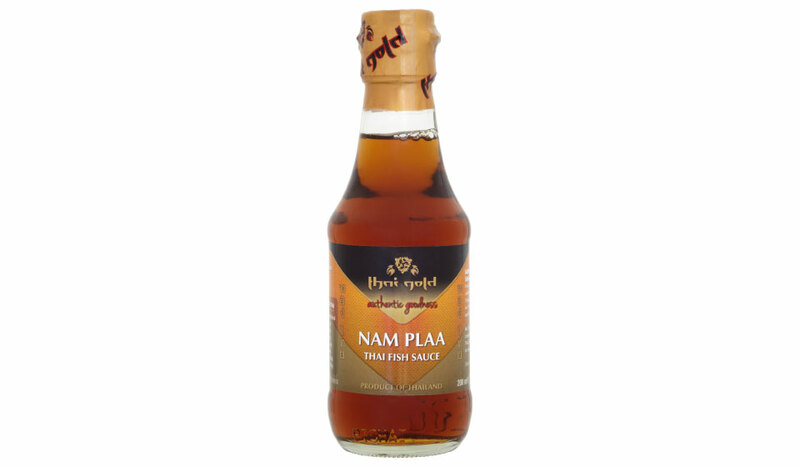 Thai Gold Nam Plaa has all the flavour you need to create authentic Thai dishes. Anchovy (Fish) Extract (67%), Salt, Sugar. Salt crystals can form naturally as a result of natural temperature changes. Salt crystals will dissolve once added to your dish.